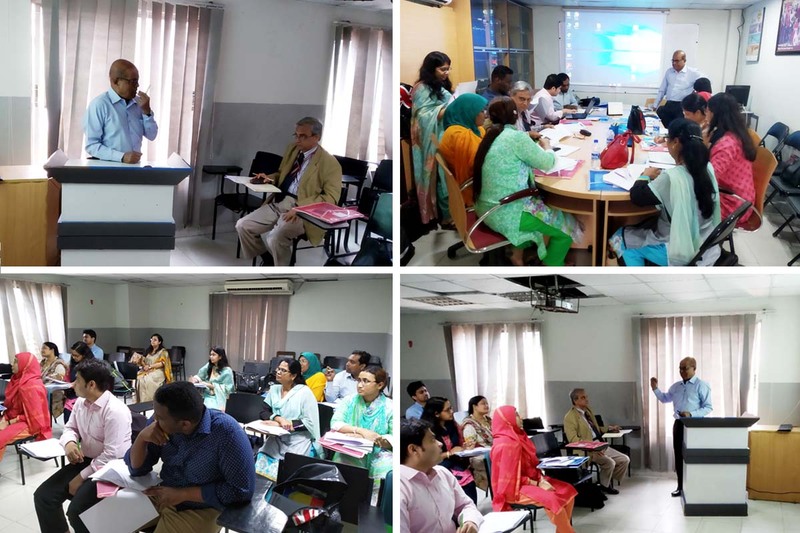 A workshop on Questionnaire Development was organized by the department of Public Health on 22 March, 2019 in own campus of State University of Bangladesh. The resource person was Dr Kapil Ahmed who has basic training in Statistics (B.Sc. & M.Sc.) and advanced PhD degree in Demography. Dr Kapil Ahmed have several years of working experiences with the capacity of Statistician, Population/Public Health Researcher, Demographer/Epidemiologist, Monitoring and Evaluation Specialist, and Data Analyst in Bangladesh and in the United Kingdom. In the last couple of years, he has been exposed on a regular basis to remote works in the African, American, Asian, and European countries as professional Research Advisor and Statistician. Besides, he has adequate skills on research (quantitative & qualitative) designing with proper sampling strategies; developing questionnaire/topic guides; facilitating training for capacity building; data analyzing using sophisticated software; and Professional report writing. Many of his research findings were disseminated over the globe and published in the international scientific journals. The participants of this Workshop were dissertation phase students from Dept. of Public Health, SUB and the faculty Members of SUB. Dr Kapil Ahmed in his presentation discussed on how to develop questionnaire for conducting research in detail and also conducted some practical session to give hands-on training for the students to facilitate them to complete their dissertation as a part of partial fulfillment of MPH degree.Ms Nuhad Raisa Seoty, Asst Prof. of Public Health, and Dr.Nazmur Rahman Sajib, lecturer of Public Health and a good number of students were present in the workshop.